The city of Haifa is the venue of six stories by Lavie Tidhar. These stories were not written as a cycle, and only two of them are even directly linked through a shared character, but they all find an engaged setting in the ancient city of Haifa on the Eastern Mediterranean. This isn't to say that they simply take place in a city called "Haifa," a passive participant to the activity within it. Rather, Tidhar's Haifa plays a role in all these stories, and through characteristics common across them, acts as a bridge between its local culture and the more universal enterprise of speculative fiction. Four characteristics appear in one form or another in all of Lavie Tidhar's Haifa stories: 1) the power of books and bookstores to shape the reality of the city and the way the protagonists perceive reality; 2) the city's sanctity (especially with regard to sun and fire worship); 3) the eternal nature of the city, its harbor, and the mountain ridge on which it sits; and 4) the city's ability to span the vast range of both history and mythology. These characteristics are not unique to Tidhar. Speculative fiction is rife with books that expose reality as timeless and malleable. Michael Moorcock's Tanelorn and Roger Zelazny's Amber provide great points of reference with respect to cities the span space and time, acting as hubs for the world that exists around them. Yet these are definitively fictional cities, which raises an interesting question regarding Tidhar's Haifa—do his stories merely apply fantastic conventions to Haifa, or are these fantastic features central to Haifa's identity? We'll see that whatever the answer to this question, this dynamic allows Tidhar to utilize Haifa to marry particular and local identity with concerns, themes, and conventions that are universal in scope. As far as books and their power to affect reality, there is nothing special about Haifa besides a few locally iconic used bookstores. But the power of words is a vital trope in speculative fiction more generally, and it certainly a common theme in Tidhar's work as a whole, highlighted by his recent Bookman trilogy. As for Haifa's nature as a meeting point and crossing point of times, places and realities, the answer may lie in the nature and history of Haifa itself. 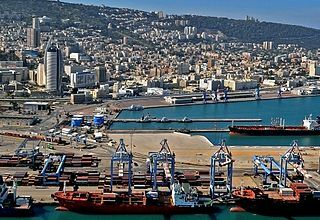 While it is the third largest city in Israel, Haifa was not one of the major towns of the region until the twentieth century. But it is an ancient port town, with evidence of settlement dating back to the late Bronze Age. It is situated along a stretch of coast that was one of the most important international trading centers in the Mediterranean for some 4,000 years. In recent history it gained importance as one of the largest deep-water ports in the eastern Mediterranean, and during the British rule of the Middle East as the gateway to the entire region. As such it has always been a nexus, a meeting place for people and cultures. Tidhar take this a few steps further. In his Haifa historical periods coexist side by side in the same city, timelines cross and meet and the city is a nexus not just for people from different places and cultures, but for the mundane and the mythical. 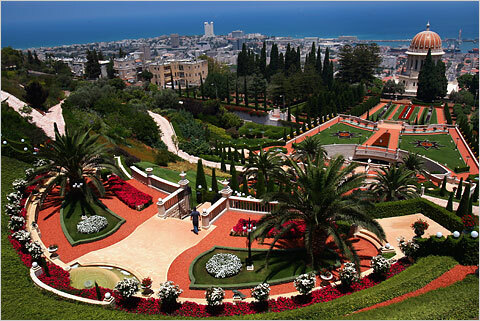 The Terraces of the Baha'i faith, located on Mount Carmel in Haifa. 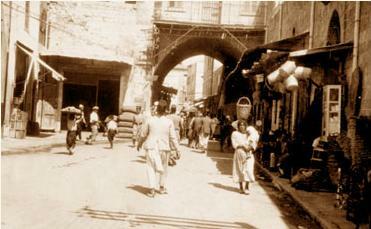 The sanctity of the city can be traced back to the history of the region Haifa is located in. Haifa hosts the world center of the Baha'i religion and is sacred to this faith, but as far as Judaism, Christianity, and Islam are concerned it had no major religious significance, especially compared to other cities in the Middle East. But the Carmel ridge on which it sits is a different matter. 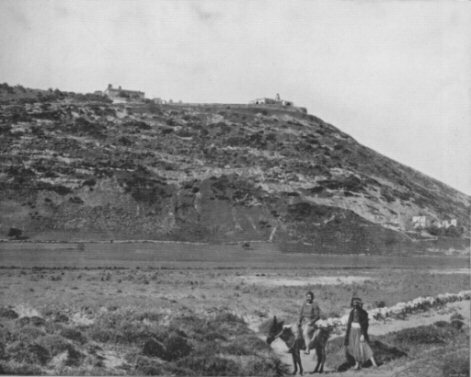 Mount Carmel is mentioned as a sacred place in the account of Thumose III's occupation of Palestine in the fifteenth century BC; It is the site of Elijah's famous showdown with the prophets of Ba'al and Ashera (1 Kings 18)—which implies that the site has an even older history as a sacred place; The city of Megiddo, made famous by the book of Revelation as "Armageddon" (Revelation 16), is along the ridge, less than forty kilometers from Haifa proper. There might be another, more personal reason, for this nature of Tidhar's Haifa, and here I venture into speculation. Tidhar grew up in a Kibbutz not far from Haifa in the 1970s and 80s. Having come from a similar background, I know the meaning "The Big City" can have for someone growing in a Kibbutz. It can be the epitome of cosmopolitanism and adventure as opposed to the rather restricted life of the Kibbutz. "One Day, Soon" is the story of Benjamin, who finds a book in Mr. Rosenfeld's second-hand bookstore in the Hadar neighborhood in Haifa. While to him it is a hardcover book with thick pages filled with lists of names written in German, everyone else sees it as an old paperback with a misty print on the cover. As time passes, the book begins to influence not only the way Benjamin sees the book itself, but the way he sees the entire city. Instead of the everyday Haifa and Mount Carmel he's used to, he sees another Haifa. It is, as we find out, the Haifa of the "Masada on Carmel" plan. It is a city occupied by the Nazis, who were not stopped in El Alamein but went on to conquer Egypt and Palestine. Tidhar doesn't describe the city as Benjamin sees it, perhaps so that the reader can share in Benjamin's fear through the suspense of the unknown. But even so, this only increases the city's mythological presence and hints at its eternity. For example, we learn that Benjamin's security and hope are rooted in "a knowledge that this ancient port-town had always been there, will always be there." The city's eternal nature is also manifested the fact that the city which Benjamin sees in the parallel timeline is still Haifa, and is still recognizable as Haifa. In this time-line, the city, the mountain, and the harbor still exist, and as strange as the city may be—it's still Haifa. But the power of books is at the heart of this story. The city's transformation, or rather the transformation in the city's perception, occurs only after Benjamin buys the book in the second-hand bookstore. Books, which begin as a source of comfort for Benjamin, are now the source of change and even terror. The book is the key to an alien city and to a frightening reality that replaces the one Benjamin was accustomed to. And as is evident from the end of the story, the book's influence is not limited to Benjamin. The "Masada on Carmel" plan is also mentioned in "The Projected Girl." The protagonist of the story is Danny, a Bar Mitzvah boy in Haifa of the 1980s, who receives a magic kit and some money for his Bar Mitzvah. With the money he purchases the diary of a magician who performed in Haifa during the 1940s. This diary leads him to a mystery—where did this magician's lovely assistant vanish to? Investigating this mystery will lead him and the readers to learn about 1940s Haifa, of which the "Masada on Carmel" plan was a part. This connection to "One Day, Soon" is almost offhand, but helps reinforce the overlapping timelines and multiple worlds that Haifa inhabits for Tidhar. There was once this magician. And he made a girl disappear. Or the girl disappeared despite the magician. It all happened long ago, in another town, that resembled this one only slightly. It was a town of crusaders and templars, of Bedouin sheikhs and Ottoman empire-builders. City walls were built, destroyed, built up again. The Russians built a wharf; the Turks put through a train line; the British rebuilt a harbor that once saw Phoenician ships dock, their sails bellowing, with cedar from Lebanon and spices from Africa. Seagulls cried and dived overhead. Jews came, went, came back. The city was an old lady, draped in the patchwork clothes of centuries, worn with the dust of holy books. It was not a holy city. It was not a Jerusalem preening in white stone, cold and aloof on its hills. It was a working city, an immigrant city, a city of sailors and prophets, of prostitutes and monks. Elijah fought the priests of Ba'al on the Carmel, and Napoleon quarantined his soldiers, sick with the plague after the siege of Acre, in the monastery of Stella Maris and had them executed there, leaving a plaque behind. It was a city whose history was written in the margins, between the market stalls and the houses of ill-repute, between the narrow lanes that separated dusty stores selling the produce of other, more exotic places, and outside the bars and inns that had served the armies and navies of all the vanished empires. And, standing on the balcony and leaning slightly out over the railings, Danny could see the streets below, where partisans, rabbis, poets and assassinated politicians wove between each other: there Hannah Senesh, who parachuted into Yugoslavia and death at the hands of the Nazis; there the Ba'al Shem Tov, who could perform miracles; there the great Arlozorov Street, named after the man who was shot right there on the beach, back in 1942; there Ibn Gvirol, the Andalusian poet and author of the Fons Vitae . If the mere description of the streets is not enough to bring together medieval poets with twentieth century Nazi-fighters, Tidhar sends a wink and a nod to Israeli readers by moving Arlozorov's murder from Tel Aviv's shore in the 1930s to Haifa's shores in the 1940s. By rewriting history, he undermines the reader's confidence to know and recognize the Haifa in the story. The cumulative effect of such descriptions is to create a city in which anything is possible. By connecting Ibn Gvirol, Hannah Senesh, Aharonson, Golda Meir, and the Ivory Coast all to Haifa, Tidhar removes barriers between times and places. This creates a feeling of a city that spaces the course of history and to which characters and events from distant times and places flow. In so doing, Tidhar sets up the barrier at the heart of the story—that between contemporary Haifa and the Haifa of the 1940s. Unlike in "One Day, Soon," this other city does not materialize in the story, not even for the protagonist. But during his investigation Danny comes to know a city similar to the one he lives in, but different, which existed forty years earlier. In this manner Tidhar lets his protagonist experience in a very sharp and tangible manner this Haifa that is now gone. But the Haifas of "One Day, Soon" and "The Projected Girl" share more than their eternal nature and their existence across timelines, they also share powerful books. While in the former story there was only a mention of a second-hand bookstore in the Hadar neighborhood, here we have a name and even an address of a specific bookstore (Mischar Ha'sefer—The Book Trade—at 31 Ha'chalutz Street) and we even get a fairly detailed description of the sellers there. The book bought at that store, the magician's diary, changes the way the protagonist perceives his city. It does not reveal to him a city in another timeline, but it makes him study the past of Haifa in which he lives and see other layers of it, to see in effect "another town, that resembled this one only slightly"—Haifa of the 1940s. Were it not for the book (the magician's diary), Danny's story never would have existed and this different but similar city would never have been revealed to the readers, and the protagonist. The ending of this story introduces a new characteristic of the city not included in the first story: its sanctity. In spite of the comment quoted above that Haifa is not a holy city, at the end of the story Danny finds the magician that until then existed only in the historical Haifa and discovers that he is still alive. But the magician not only converted to Christianity, he also became a monk, and with his habit donned the sanctity of the religious life. In addition, the magician-monk lives at the monastery of the Mukhraka (Arabic for "burning"). The Mukhraka, the site where according to the Bible Elijah confronted the prophets of Ba'al and Ashera, is not merely a holy site but a site of a holy battle, of a battle of holiness, directly and unequivocally tied to fire worship. The Mukhraka and its sanctity ground the short story "A Year of Angels," which is part of a cycle very short stories called Angels over Israel: Three Slides . It's no more than 500 words long and contains little description of the city, but one thing is clear—Haifa here is a home for fallen angels. This fact immediately calls to mind questions of holiness and sanctity, but also characterizes it as a city in which boundaries of time and space are crossed, because, like in the story "The Fire Sermon," which I will discuss shortly, the mythical exists in the city side by side with the mundane. The angels are part of the city's everyday life, and thus on the one hand they give it something of their sanctity, and on the other make it a place where myths and reality mix and coexist. The city's sanctity is also revealed in the story's conclusion, in which a pilgrimage of angels from all over the city to the Mukhraka, which Tidhar calls "the place where heaven and earth meet," is described. Even in such a short story Tidhar manages to incorporate two of the fundamental characteristics of his Haifa. These two elements—the sanctity of Haifa and the merging of the mythic and the real—are also found in the stories "All the Wonders in the World" and "The Fire Sermon." The character of Ibrahim, the protagonist of "All the Wonders in the World" which appears briefly in "The Fire Sermon," makes these two stories the only Haifa stories that are clearly connected, but the connection is made much stronger by virtue of the characteristics of Haifa to which Tidhar returns time and again. This final struggle of sanctity can only take place in the eternal, time-spanning Haifa through which Ibrahim makes his way. It is a city populated by flying lizards and talking butterflies over which two moons float and Ibrahim's battle that takes place in it is just one of many waged throughout its history. Ibrahim appears briefly in "The Fire Sermon," which is the story of Polyphemus, the Cyclopes from the Odyssey. Polyphemus of "The Fire Sermon" ended up in Haifa where he makes his living selling old navigation instruments in the sailors market, and this fact alone is enough to attest to the city's character as bridging chasms of time, space, and reality. In this sense "The Fire Sermon" resembles "A Year for Angels," where the mythical routinely resides in the everyday world (as opposed to "All the Wonders in the World" where it erupts into the mundane world). The other distinct characteristic of Haifa in this story is the sense of holiness the city is imbued with. Worship and faith play a major role in different aspects of the story, and its climax is Polyphemus' ritual of fire (or light) worship. These two stories are very short, but together they form a city in which the border between the mythical and the realistic are crossed when the presence of holiness on earth is at stake. The last of the Haifa stories I will discuss, "Shira" (a common name for girls in Israel meaning "poetry" as well as "singing"), is different in one fundamental way. While all the other stories take place in some sort of present, "Shira" plainly takes place in the future. While it may be argued that the different time and other differences separate "Shira" from the other Haifa stories, I would argue the characteristics of the city evident in it as well as in the other stories make it a story of the same city. Furthermore, to some extent "Shira" combines all the elements and presents them in the most powerful and purest form. "Shira" is the story of Nur, a Syrian student of Hebrew poetry, coming to Haifa to study the works of a forgotten Israeli poet from before "the little holocaust" (some disaster that destroyed Jerusalem, the nature of which is unclear). The mere name of the student, Nur, meaning "fire" or "light" in Arabic, hints at the light and fire worship which appear in the former stories. The city's sanctity is plainly evident when Nur enters Haifa, arriving by train from Damascus: "She put her face to the window and gazed, fascinated, at the approaching city. Haifa, who some called the Replacement City, was busy with erected mosques and synagogues and churches." Nur sees the temple-laden Haifa, her first impression of the city, beyond "a distant flash of bright light" coming from the dome of the Baha'i temple (more than once in these stories Tidhar makes use of the "double sunrise" simile of the sunrise reflecting in the Baha'i golden dome) and thus the city's sanctity is bound to the sun and the sunrise. This further enhances the light and fire motif. But there can be little doubt that the main theme in "Shira" revolves around literature, books, and their power. The protagonist is a Syrian student of Hebrew literature, coming to Haifa to search in libraries for the writings of the poet Li'or Tirosh. Instead of the university library she ends up in the second-hand bookstores of Haifa, where she discovers that her poet was also a writer of science fiction and fantasy stories. One of these stories is called "Shira," and tells of a Syrian student of Hebrew literature coming to a post-"little holocaust" Haifa in order to study the writings of a forgotten poet. Suddenly, Nur can't tell whether she's a character in the story or the reader. The events that follow further blur the line between her reality and the literature she is studying. In "Shira" Tidhar takes the themes we saw in former stories to their extremes. He uses the power books have to create realities in order to blur the lines between the mundane and the fictional, between the real and the literary, between timelines and ages, and hurtles his protagonist and the readers into a world where all the barriers have fallen. The Haifa stories are not a complete cycle. Each takes place in its own present (or future) that cannot always be recognized. But the common characteristics of Haifa which appear in all the stories bind them together. When looked upon together from some distance, a clear picture of Haifa as it is seen in Lavie Tidhar's vision emerges. This vision produces a unique outcome, a speculative city which is at the same time universal and local. One of the most interesting questions regarding Israeli speculative fiction is whether it can maintain uniquely Israeli characteristics while at the same time appeal to non-Israeli audiences. Lavie Tidhar manages this by creating his Haifa which is evidently eternal and universe-crossing in nature, while characterizing it using unmistakably local elements. This also leads to an answer to the question I posed at the start of this article. The characteristics binding these stories together, enabling us to relate to unrelated stories as a single body of work, seem at first glance universal. But when we look at these characteristics in Lavie Tidhar's stories, it seems to me we can say with a degree of certainty that they arise from the city, rather than being imposed on it. The books and literature that change reality in Haifa come from very specific places, from bookstores we can see on the streets of the Haifa today. The eternal nature of the harbor does not come from it being some kind of mystical junction, but from it being an important harbor in the eastern Mediterranean for thousands of years. The mingling of times and places is manifested in the tangled streets of the actual city. And Mount Carmel's Biblical importance and the fire worship at the Mukhraka are historical touchstones in the region's religion culture. Tidhar's example of a city that can embody universal dimensions through and because of its local character provides a keen point of reference for preserving regional and ethnic literature in an increasingly globalized genre of speculative fiction. 1A plan devised by the Jewish leadership in Palestine during 1942, when Nazi occupation of Egypt and Palestine looked imminent, to form a stronghold on the Carmel and lower Galilee mountain ranges. This article is based on a lecture I gave back in 2008. Some of the stories were not yet published back then, and others I knew only in their Hebrew versions. Lavie was kind enough to send me English manuscripts of all the stories, and for this I'm very grateful. The quotes are from these manuscripts. I would also like to thank Dotan Dimet for reading an early version of this article and for his remarks. "One Day, Soon." In: Lovecraft Unbound . Ed. Ellen Datlow. Dark Horse Publishing, 2009. "The Projected Girl." In: Naked City: Tales of Urban Fantasy . Ed. Ellen Datlow. St. Martin's Press, 2011. "All the Wonders in the World" is part of a cycle of short stories called "Invasion Stories" published in Hebrew in Halomot Be'Aspamia ("Pipe Dreams"), Vol. 18 pp 27-31. "Sermon of Fire." Published in Hebrew in Halomot Be'Aspamia ("Pipe Dreams"), Vol. 20 pp 7-8. "Shira." Published in Hebrew by the Israeli Society for Science Fiction and Fantasy.